Susan Robens Brannon humanitarian photographer sample publications to various media and corporate outlets. 17 Sept. 03 - Baghdad, Iraq - The Iraqi denar drops in value daily while Hassam quickly counts money for his shwarma shop in Baghdad. 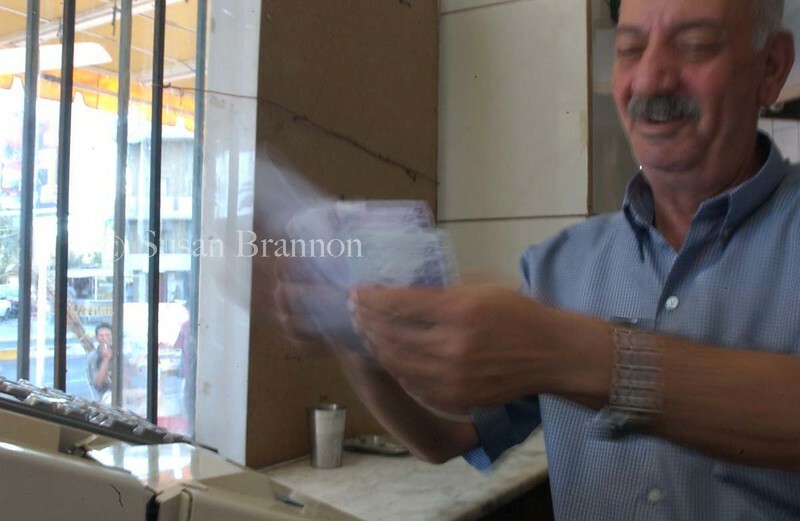 The cost for 3 shwarma is 1.50 U.S. dollars about 24 $250 Iraqi bills or 6,000 Iraqi denars.